From the next time on last weeks episode I sort of assumed The Girl Who Died would be another Robot of Sherwood. Good but not great, just a fun lightweight episode that had no bearing on the rest of the series. But this is mostly not true as the episode turned out to be pretty touching and frequently hilarious, with Peter Capaldi turning in yet another fantastic performance as the Doctor. First things first, let’s get the big news out of the way, yes Arya (Maisie Williams) from Game of Thrones was in this episode. And she was…alright. Nothing special really. I’m not exactly the biggest Arya fan anyway but she does a fine job in GoT when she’s got something to work with. Here, while important, it felt like they were building Williams’ character up for something big later. And to be fair to the writers it looks as if the character will be more developed next time now the back story is out of the way, judging from the preview of next weeks episode. Not everything to do with the character was bad though, that 360 shot at the end was particularly awesome. Returning writer Jamie Mathieson (who wrote the brilliant Mummy on The Orient Express and Flatline last season) again makes a premise that could be awful into an exciting episode. 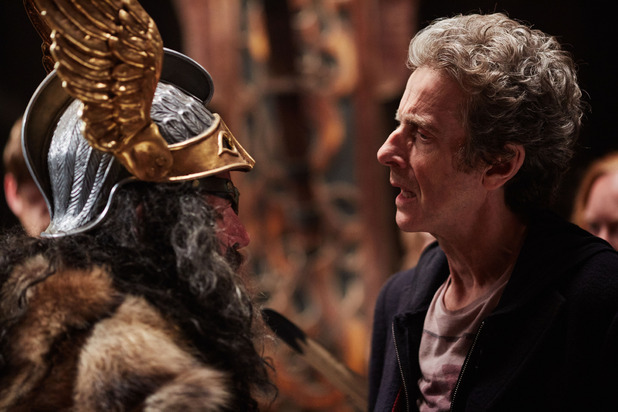 One thing that stood out this time though was just how funny it was, not only because off the writing but also because of Capaldi. Maybe it’s because of the years he spent on The Thick of It but Capaldi is certainly the funniest Doctor. In fact it’s becoming more and more apparent that Capalidi is the best Doctor we’ve had, period. He’s got more range than any of the other Doctor’s and that’s never been more apparent than in this episode with its perfectly balanced mix of drama and humour. The scene with the Doctor and the yo-yo was especially hilarious. The oft-mentioned problem of the Doctor not being able to save everyone pops up again but thanks to Capaldi it doesn’t feel too repetitive, and this time it does seem like the Doctor’s meddling with time might have some repercussions. The villains of the episode were on the simple side the but the designs were interesting, if a little underused, and the shots of ‘Odin’ in the sky were cool. The viking village was also well realised and the side characters were thankfully a lot less annoying than some previous episodes. The episode was probably rife with historical inaccuracies but these sort of things don’t really matter in Doctor Who, especially as the rest of the episode was so fun. A nice touch was the Doctor revealing why exactly he chose the face he did, flashing back to Tennant’s Doctor saving the family in the Fires of Pompei episode where the father was coincidently played by Peter Capaldi. He chose the face of a man he’d saved to remind himself it’s ok to bend the rules to save people, and it was a cool moment that managed to fix some problems with Capaldi playing multiple Who characters. The Girl Who Died was a fun little episode, with surprising amounts of humour and dramatic depth. 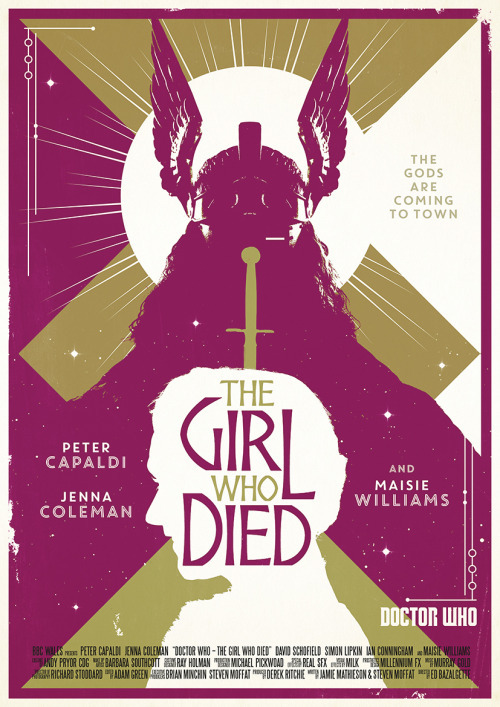 It coud have been another Robot of Sherwood or Curse of The Black Spot but with some great acting from Capaldi and some terric writing from Jamie Mathieson, The Girl Who Died Became yet another strong epsiode in a season of strong epsiodes. Doctor Who has never been this good.